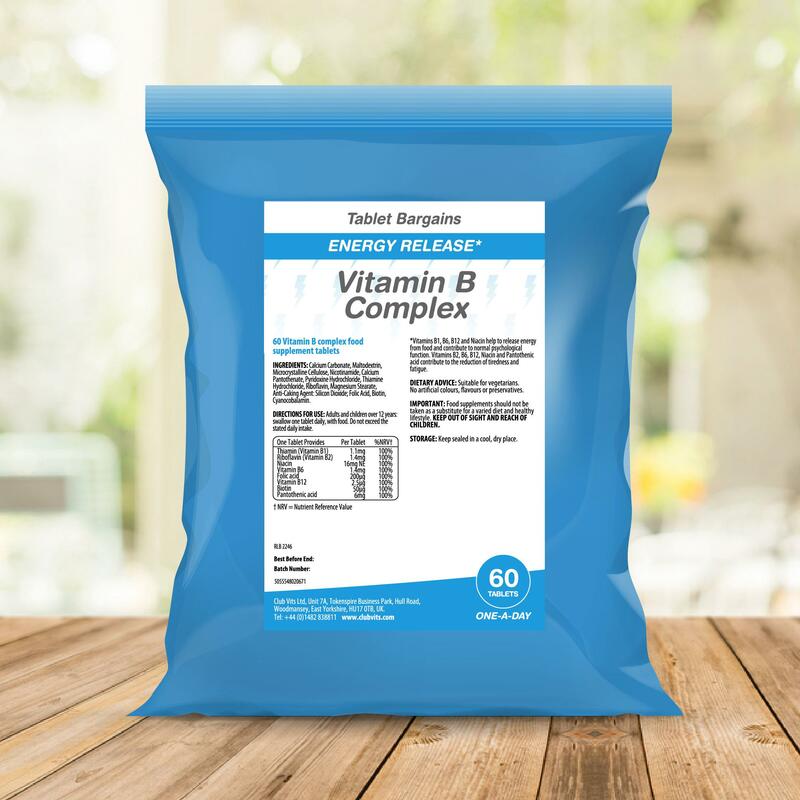 Our Vitamin B Complex contains 7 different B Vitamins each contributing to functions within the body. Thiamin contributes to normal energy-yielding metabolism, Riboflavin and Niacin contributes to the reduction of tiredness and fatigue. Vitamin B 6 contributes to the normal function of the immune system. Vitamin B12 contributes to the normal functioning of the nervous system and Pantothenic acid contributes to normal mental performance. Bulking Agent (Sorbitol), Maltodextrin, Microcrystalline Cellulose, Nicotinamide, Calcium Pantothenate, Magnesium Stearate, Pyridoxine Hydrochloride, Thiamin Hydrochloride, Riboflavin, Anti-Caking Agent (Silicon Dioxide), Folic Acid, Cyanocobalamin. Store in a cool, dry place out of sight and reach of children. Excessive consumption may produce laxative effects.